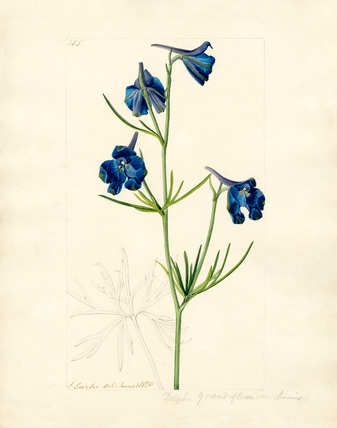 This is an original watercolour of Delphinium grandiflorum var. chinensis by John Curtis produced for reproduction in Curtis's Botanical Magazine. In 1818 John Curtis became the principal artist and produced over 400 plates for the magazine which was founded by the unrelated William Curtis in 1787.